The story of the Royal Gorge "war" and the Denver & Rio Grande's ultimate victory has been told many times. 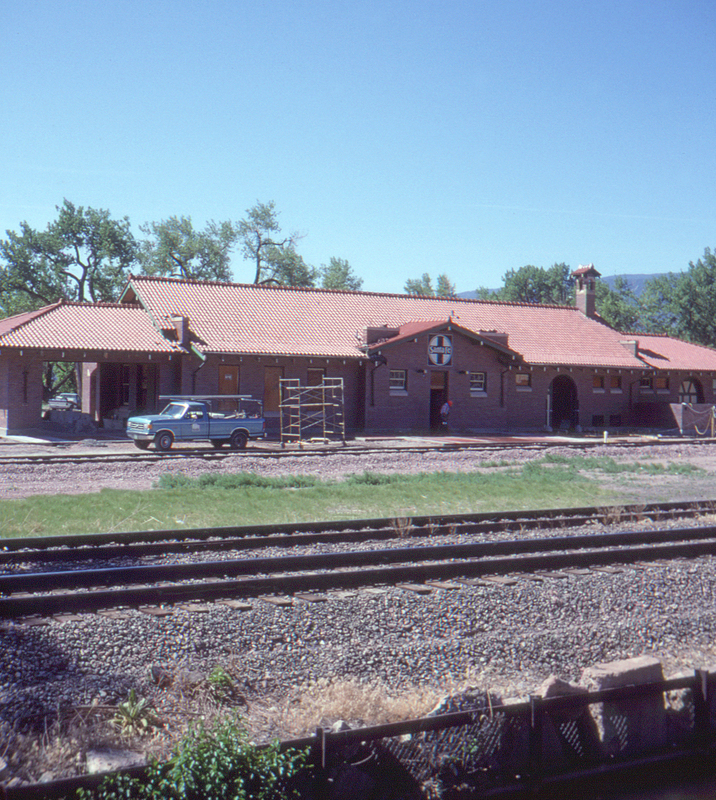 Less well known is that the Atchison, Topeka and Santa Fe retained its line from Pueblo to Canon City, the "Gateway to the Gorge," where it maintained this magnificent station. The Santa Fe's line was hardly a useless stub, as it served a branch to several mines south of Canon City. By this time most of the Santa Fe rails east and west of Canon City were gone, with access to the remaining trackage via the Denver & Rio Grande Western's Royal Gorge (Tennessee Pass) line, seen here in the foreground. Within the next two years both lines would lose their identities, the Santa Fe becoming part of Burlington Northern Santa Fe and the Rio Grande (by this time operating under the name Southern Pacific) being absorbed into Union Pacific. Today this station is home to the Royal Gorge Route Railroad.